How to get rid of visceral fat naturally starts with eliminating cooked carbohydrates. What is belly fat and why should we be concerned about it? Is it the same as visceral fat? The question of how to get rid of visceral fat naturally applies to both men and women. First, let’s start with men. Men accumulate belly fat more than women. This has to do with hormones. Men and women deposit fat and muscle in different areas. It’s why men workout and get a better pump than a woman can. Regarding women, fat will develop in their back, buttocks, and thighs more so than their belly although they can accumulate belly fat as well. Fat around the midsection is called central adiposity. Adipose is the medical term for fat cells. Adiposity is a condition and a state of being fat. Central adiposity is a reflection of what’s going on inside. If you go past the belly fat, past the muscles and look at the organs, what will be found is fat around the organs. Fat around the organs or visceral fat is a problem. The reason it is a problem is because the fat is being picked up by the organs and being processed by them. One of the metabolic intermediates results in something called CRP or C-reactive protein. CRP is an inflammatory marker. Having fat around the organs causes inflammation. Why is inflammation not in our best interest? Why is it that it detracts from health? First, let’s start by noting that there are two types of inflammation, acute and chronic. Acute inflammation is necessary. For example, you bang your finger with a hammer. It swells, gets red, hot, swollen and painful and then it heals. On the other hand and, if someone keeps banging their finger with a hammer over and over that develops into chronic inflammation. Then you have constant pain, the bone grows and becomes deformed, etc. Chronic inflammation turns out to be the underlying pathology in all diseases, including cancer. Fat around the organs causes inflammation with the organs and they send it out in the blood and that becomes a chronic inflammatory condition. Belly fat is an indicator of this condition. In other words, if one has belly fat, then you know you have fat around your organs. Why is yo-yo dieting ineffective? When you lose weight and then gain weight, a person never has a chance to lose the internal visceral fat. A person has to lose the fat and keep it off for 6, 9, 12 months to change the internal adiposity. What’s the best way to lose belly fat and ultimately the visceral fat around the organs. It’s important to first understand that fat is what the body produces from carbohydrates or sugars. You can eat fat and not get fat; most people miss that point. If you eat too many carbs or protein you can get fat. Both protein and carbs become sugar. Stop eating cooked carbohydrates and give your body a break. Stay off cooked carbs for 90 to 120 or best yet 180 days. 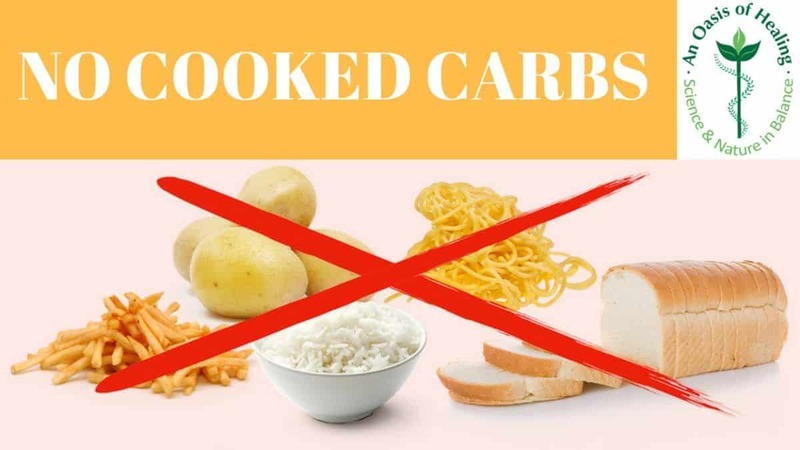 Examples of cooked carbs would be; bread, rice, pasta, and potatoes. Also, stay away from any processed sugars. Eating fruit is fine, however, stay away from dried fruit. What is a carb? A carb is a glucose molecule strung together and the body breaks them down and uses them. Once a person exceeds their glucose requirements, they get stored as triglycerides. We make fat from carbs not from fat. The absolute best way to eliminate belly fat and visceral fat around the organs is to restrict cooked carbs for at least 90 days and for best results 180 days. The reason why a person should go that long is to eliminate the real enemy. The real enemy is called appetite. Our appetite is why we eventually die.